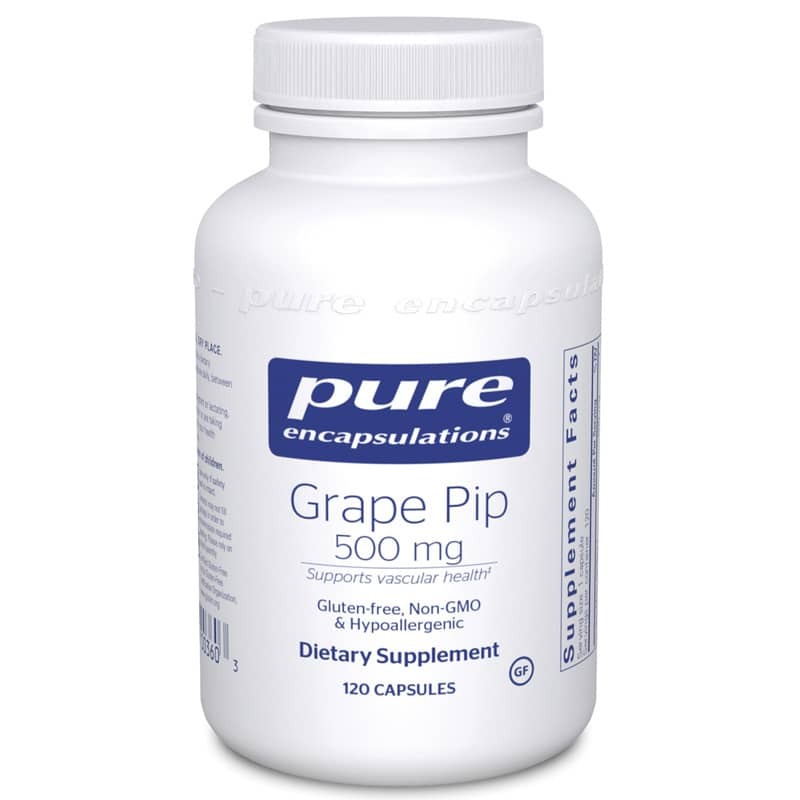 Grape pips (seeds) are a superior source of unique flavonoids known as proanthocyanidins or oligomeric procyanidin complexes (OPC). These compounds are among the most powerful antioxidants known in nature, as laboratory studies have shown these compounds to be 20 times more powerful than vitamin C and 50 times more powerful than vitamin E in antioxidant capability. Proanthocyanidins quench several types of reactive oxygen species, chelate divalent metals involved in catalyzing oxidative cascades, and moderate enzymes that generate reactive oxygen. This multidimensional effect enables excellent antioxidant protection. Oligomeric proanthocyanidins have also been shown to maintain healthy collagenase, elastase and hyaluronidase enzyme activity, supporting endothelial integrity. These actions have been shown to support vascular health. As these compounds are relatives of the anthocyanins in bilberry, they also support visual adaptation and performance. This extract contains 92-95% oligomeric proanthocyanidins by weight. Adults: As a dietary supplement, take 1 capsule daily, between meals.